Familiarity with a baitcaster is recommended if you are in pursuit of muskies. 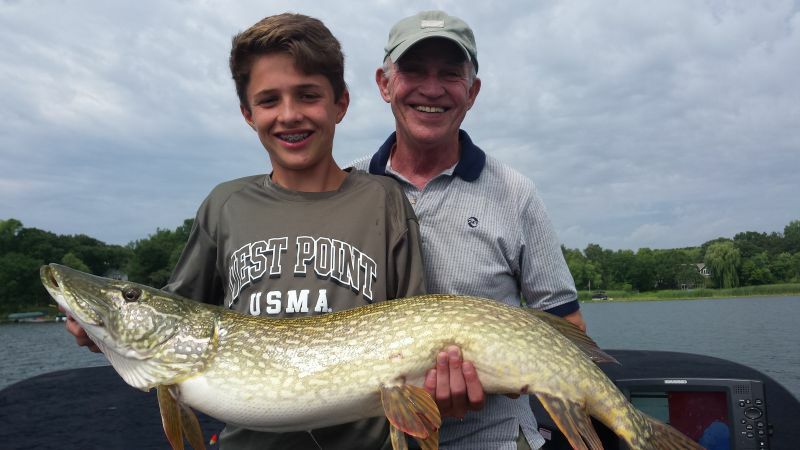 Josh offers (schedule permitting) to meet at a lake near Blue Ribbon Bait & Tackle in Oakdale, MN for a quick tutorial on a day before your guide trip, as it is a skill worth developing before you are in pursuit of these monster fish in the midst of prime time. If you don’t have time to practice, however, Josh will teach you the fundamentals on the day of your trip. At least 8 hours, possibly longer, until the fish stop biting. For musky trips in particular, a full day is recommended. Roughly 4 hours. Not available on Mille Lacs UNLESS Josh is already on the lake. Josh can also accommodate larger groups and will provide a quote upon request.